Yellow nail polish is so tricky - normally it has such a problem being opaque. 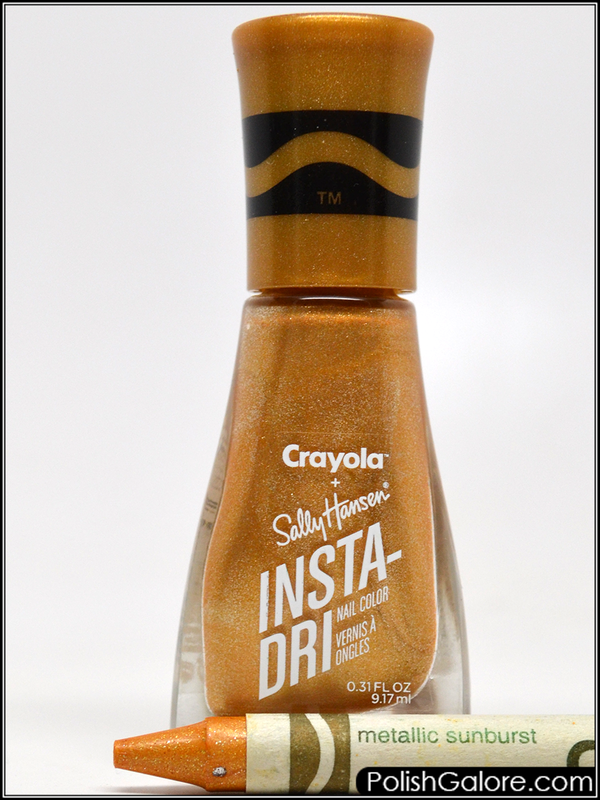 Did Sally Hansen x Crayola Metallic Sunburst meet the same fate? This 3-in-1 polish only needed two thin coats to be opaque. Look at this! 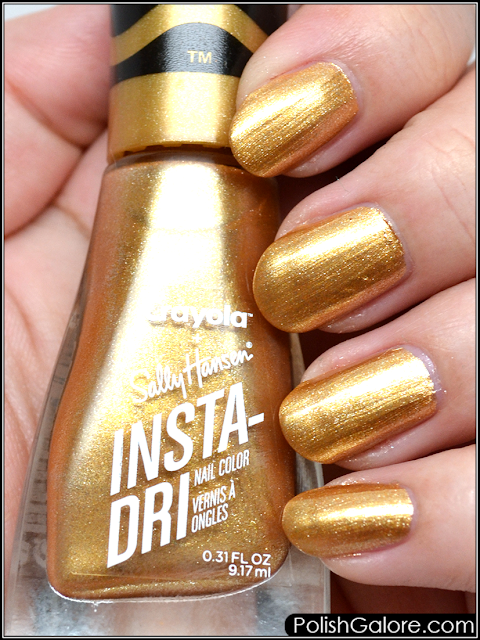 It's not my favorite with my skin tone and I feel like I need to go watch Tron: Legacy (Daft Punk really killed that soundtrack) but it is a great opaque metallic yellow! It reminds me a little bit of antique gold which is a color I used a lot in Photoshop when I'd design flyers.